Winery/Producer: Santa Barbara Winery; Santa Barbara, California. Grape Variety Tasted: Sauvignon Blanc. 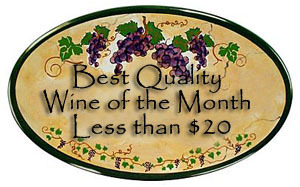 Tasting Price: $10/glass or $17.00/bottle. Comments: Recently some North Carolina friends were visiting us in California and wanted to do a some wine tasting in Santa Barbara. 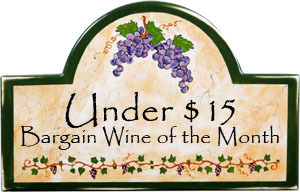 They had told us the Santa Barbara Winery Sauvignon Blanc was one of their favorite wines and would like to include that winery in our tasting plans. We said sure, so bright and early on Saturday morning we set out for Santa Barbara. We did a tasting at Au Bon Climat in the morning, had a fantastic lunch at Bibi Ji then poked in and out of the shops on State Street while gradually working our way toward the “Funk Zone” located near the ocean and our Santa Barbara Winery destination. When we arrived it looked like this was the biggest tourist attraction in Santa Barbara and a crowd of people way larger than any count the fire marshal would have allowed were shoulder-to-shoulder sipping wine or standing in line at the bar to place an order. When our turn finally came we were told on Saturday tastings were available, but they only sell wine by the glass, not by the bottle. Our friend, who had made the trek all the way from North Carolina to drink his favorite Sauvignon Blanc finally convinced the waitress to sell us a bottle (at the $17/bottle price, not the $10/glass price) after saying he would join their club. Next problem, every standing position and seat, inside and outside on the patio, was taken. We did finally get a table in a back barrel storage room and were able to drink the wine…but it was an oaked Sauvignon Blanc that was not very good. As a side note about this vineyard operation, in January we purchased a bottle of Santa Barbara Winery Chardonnay at our local grocery store and when paired with a fish dinner we enjoyed it very much. 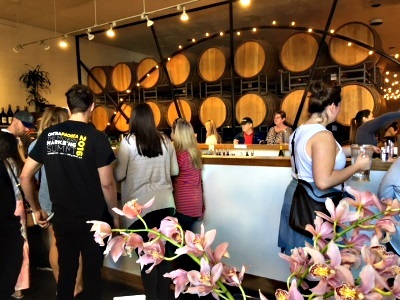 We have also done a wine tasting at the Lafond Winery & Vineyards (the parent company of the Santa Barbara Winery) located in Buellton, California and thought it was a great wine tasting experience. 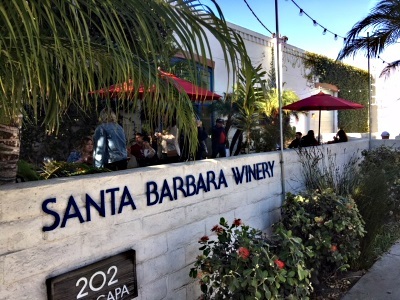 Recommendation from the tasting: We’ve had several “not bad” wine tastings in the past, but our Santa Barbara Winery tasting room experience can only be described as VERY DISAPPOINTING. Maybe crowds like this only happen on Saturday afternoon or maybe our opinion was swayed because we had such a GREAT tasting at Au Bon Climat that morning, but in the end this was not an experience we would recommend.